﻿﻿Bouncy castles are a wicked way for the kids to have fun. 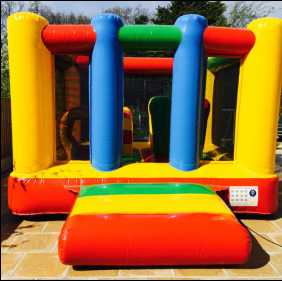 Perfect for all types of events and these bouncy castles are guaranteed to keep the children entertained for hours on end. Price's quoted are for full day until 6pm. Overnight hire and weekend hire are also available. Overnight Hire additional £25 for weekend rates please contact us. 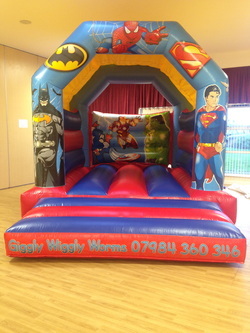 Please have a look at our Games section, special package rates available for bouncy castles and games hired together!!! 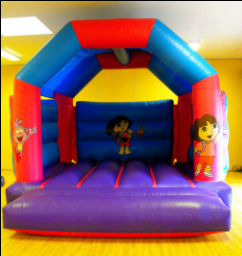 Please note it is your own responsibility to insure the bouncy castle fits in a hall or the space you have provided. Please check measurements before you book. Take turns in removing a piece and add it to the top of the tower without the tower falling.